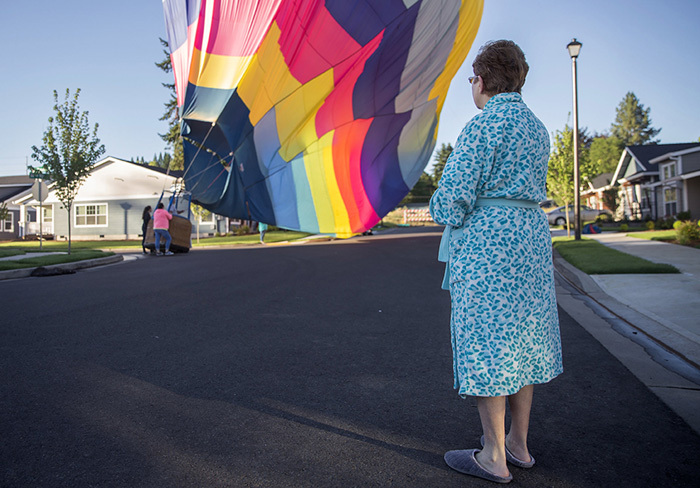 June 23, 2017 – A woman observes the landing of Kearney’s Mistress, a hot air balloon that flew in the Festival of Balloons in Tigard, Oregon just after sunrise. 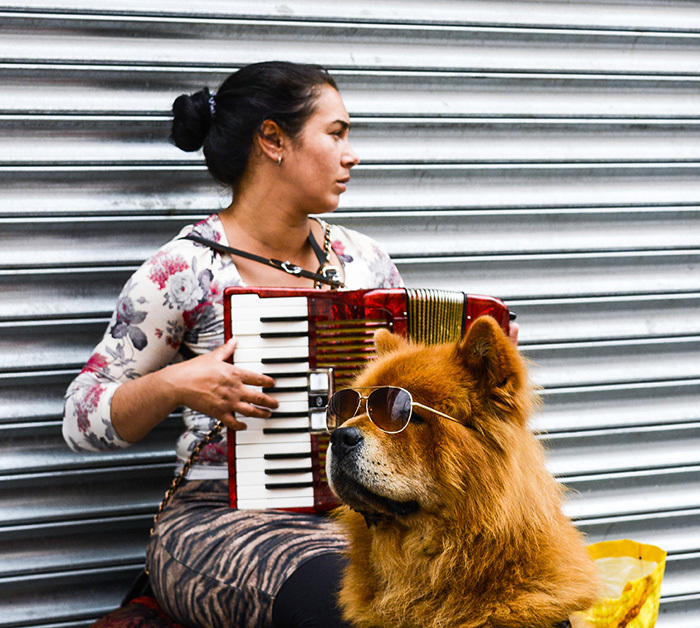 A woman and her dog busking on Henry Street in Dublin, Ireland. June 21, 2017. 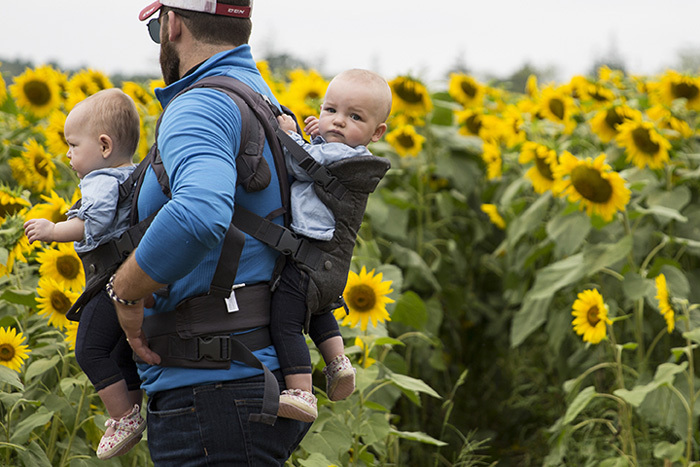 Sept. 2017 — Twins enjoy a day out at the sunflower field. 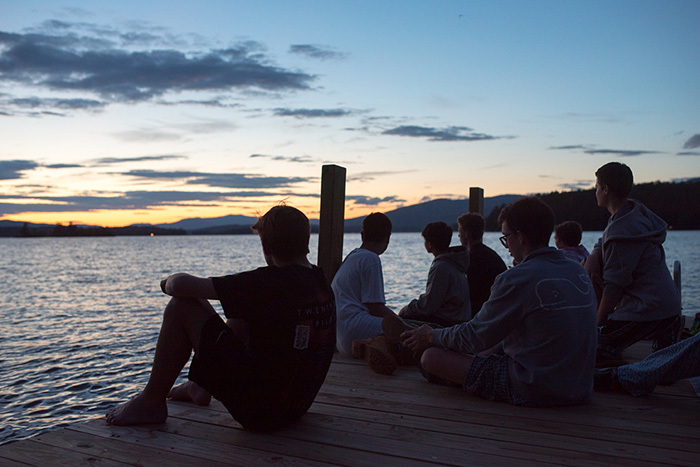 14- and 15-year-old campers at YMCA Camp Belknap rest on a dock at sunset on July 3, 2017.